This post is not intended as a summary of information about camels in the Bible. It is just calling attention to the terrain and kind of signs one sees in Israel’s Negev (Negeb). The NKJV uses the directional term South. 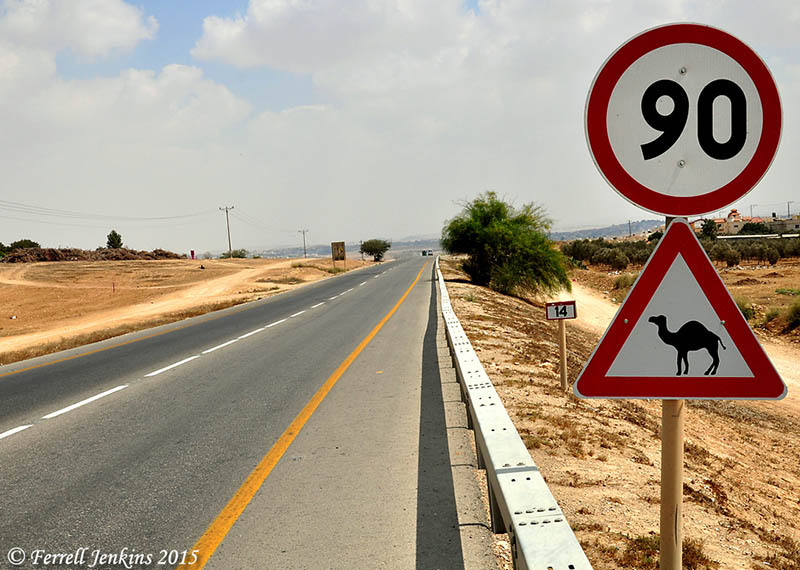 Camel warning sign in the Negeb (Negev). Photo by Ferrell Jenkins. This entry was posted in Bible Lands, Bible Places, Bible Study, Israel, Old Testament, Photography, Travel and tagged Camels. Bookmark the permalink. I’m on my way to the Negev now! Happy Sukkot!